I’m excited to be partnering with Hidden Timber Books to bring you an online workshop about websites for authors. Register by clicking on the link below! As soon as family, friends, and colleagues find out you’re an author, they want to know where they can find your work. Your author website is your one-stop shop, playing a crucial role in how you connect with your audience. In this workshop learn what makes for a great website that attracts readers, helps them discover your work, and keeps them coming back. A limited number of seats is available, so register now before we sell out! Head hopping. Do you know what it is? Are you guilty of this writing crime? Too many budding authors do not thoroughly understand point-of-view--the dos and the don'ts of it. Yet, agents, editors, and publishers are sticklers on the subject. Register now for this workshop on Saturday, April 13 with Anne Clermont, editor and writer, who will guide you through the narrow twists of the concept and practice. I’ll be teaching at BARN (Bainbridge Artisan Resource Network) so register now for this workshop here. Point-of-view can be defined as the narrative perspective from which a work is written. The types include first person, second person and third person. As a writer, you'll use different perspectives depending on what type of work you are writing, as well as on what you're trying to do with it. In this class, we'll define each type of point-of-view, look at examples, and explore how each is useful and how each has drawbacks. We’ll also be practicing using various points-of-view. So, bring a current work-in-progress with you to class, if you have one. If not, then that’s fine! Come join me and two other wonderful editors at the BARN roundtable on Thursday, April 26th! It's free for BARN members and only $5 for non-members. Should be a fun evening and we can help clarify the editing process! Editing is rarely an author’s favorite part of the path to a finished manuscript. It hurts. You have to kill your darlings and admit to having tried occasionally to get away with a less than perfectly phrased sentence. At our April 26 Roundtable, Genevieve Olivarez-Conklin, Anne Clermont, and Martha Cunningham, all professional editors, will talk about what to expect from the different types of editing, how to get help, and what to do with it when you get it. Learning to Fall is a Talbots Summer Blind Date With a Book Pick! 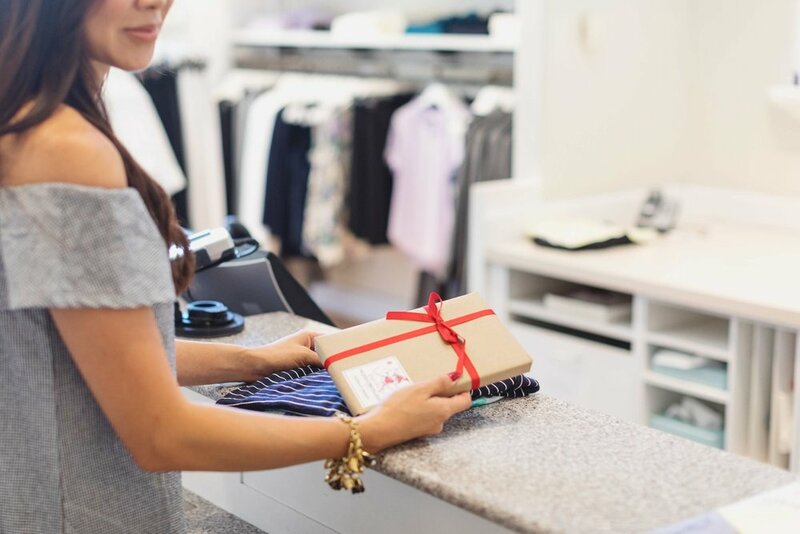 Find your perfect match at Talbots stores! LEARNING TO FALL is a #blinddatewithabook Summer 2017 Selection @TalbotsOfficial in Dallas or Houston! Learning to Fall Audiobook is now available! Grab your earphones! The audiobook of LEARNING TO FALL is now available! I'm thrilled that it will have the chance to reach even more people. If you haven't had a chance to read it, this is the perfect opportunity to pass the time while commuting, gardening, running errands, or simply hanging out by the pool this summer. Give it as a gift, too! And let me know what you think!! If you've been holding off with reading LEARNING TO FALL, I'm thrilled to announce that it will be published as an audiobook by Tantor Audio. I don't have all the details yet, though I did get a chance to approve the narrator. If they end up going with the one I opted for, I think you'll like her too! It will be really exciting to hear Brynn and Chris and Jason and the rest of the cast in the audio production! I'll keep you posted as I learn more! Learning to Fall was featured in the Holiday issue of The Spark, specifically on the “Fiction That Makes You Feel” Holiday Book Guide. You can check it out here. I will be at the Spruce Meadows Masters, home of Brynn's final event in LEARNING TO FALL! I'm excited to have the opportunity to be at this amazing event. Please find me in Booth G2 in Gallery on the Green. I do have free admission passes, so just ping me via social media or my contact page so that I can give them to you. I will be at Angelstone Tournaments, outside of Toronto, ON for a book signing event. Please come see me there! I'll have copies of LEARNING TO FALL for sale available. For more information on the show and how to get there, please click here. Saturday night I'll be watching the Grand Prix, but please ping me via my contact page, or via Facebook or Twitter and we can meet up! I'd love to see you if you can't make it earlier in the day. It should be a fantastic event: FEI level 1.45m Groupby International! Hope to see you there! Join me with bestselling author and striving Yogi Karan Bajaj with his new novel The Yoga of Max’s Discontent. By turns a gripping adventure story and a journey of tremendous inner transformation, The Yoga of Max's Discontent is a contemporary take on man's classic quest for transcendence. This story really captured me, moving with quick pace and a sensitivity that stays with you long after you've read the book. I would love to see you at Third Place books, just north of Seattle! I'll be discussing LEARNING TO FALL on KPRP 650AM, tomorrow, August 18th at 10 am PST/1 PM EST. I'll be the guest host for LitChat, Monday, August 15th at 1 pm ET/4 pm PT. If you're on Twitter, follow #LitChat. Otherwise, follow the chat on LitChat's dedicated channel here: www.nurph.com/litchat. I look forward to seeing you there! Book Launch at Eagle Harbor Books! I'm excited that my local book store, Eagle Harbor Books, will be hosting my book launch! Please help me celebrate! I'll bring the wine and champagne and some h'ordeuvres, you bring yourself! YES! How exciting! 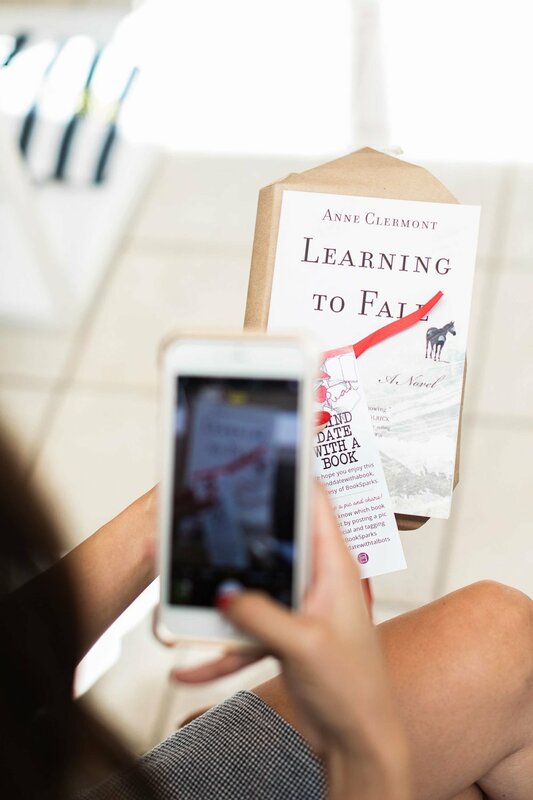 The publisher is giving away 10 copies of LEARNING TO FALL! All you have to do is follow the link and enter the giveaway. While you're there, please take the extra few seconds and add it to your 'want to read' shelf on Goodreads! It really helps for a new author to get some visibility, so that others are more able to find the book too. Good luck! May the odds be in your favor! Rebecca Laclair and I will be hosting a Writers Salon at BARN - Bainbridge Artisan Resource Network this Thursday evening! It's a free event. We'll be discussing writing, both novels and freelance articles. Hope to see you there! A 'Fourth Thursday' monthly event hosted by BARN Writers! Each month, we will be inviting authors, industry professionals and other writers to share tips, give help and inspiration. On April 28th, authors Anne Clermont and Rebecca Laclair will discuss the art of starting your writing, whether it's a novel, a short story, magazine article, or any free-lance writing project. Anne Clermont ran a 75-horse equestrian center with her husband, and has been published in a number of peer-reviewed scientific journals – including Nature Biotechnology. Her novel Learning to Fall debuts this August and takes us behind the high-stakes world of Grand Prix show jumping. Rebecca Laclair is a music journalist, and Huffington Post contributor, who has short stories published in Gravel, Skyline, and Mixtape Methodology. Her horror story was recently selected Best of Wordhaus (2015). This February, Laclair's novel Radio Head debuted to strong reviews. LEARNING TO FALL advance reader copy GIVEAWAY! LEARNING TO FALL Cover Reveal! The day has finally arrived! After many years, the book has a calling card. An artistic representation. A face. I couldn't be more thrilled! I feel it captures the essence of the themes and story really well. Here it is! 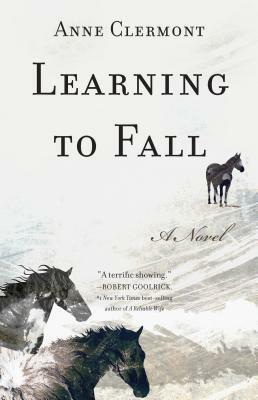 The cover for Learning to Fall revealed on BookSparks blog. Read the exclusive excerpt here . And please let me know below what you think. I'd love to know! Cover Reveal for Learning to Fall! Sunday, March 20th, is the Spring Equinox! How fitting! On Monday, we will be revealing the cover for Learning to Fall! I can't wait to share the gorgeous cover with you. I think it really captures the deeper hidden themes of the story... I can't wait for you to see it! Check back in here, on Facebook, Twitter or BookSparks' blog on Monday! I'm excited to have been invited to give a talk at the BARN about what it's like to work with an editor after you've completed your novel. I'll be speaking what I do as an editor and what a writer should expect. The Bainbridge Artisan Resource Network (BARN) is presenting a series of talks featuring Elizabeth Wales, a literary agent; Anne Clermont, an editor; Ingemar Anderson, a publisher; and Dave Richards, a local writer, on Saturdays beginning January 23 and ending February 13, 3 to 4 pm. BARN members will pay a $40 fee and non-members $45. Your book is done. Now what? is a unique opportunity for writers who have completed a manuscript, are struggling to complete one, or are thinking about taking the plunge. Each session will last one hour, including a half hour for questions. In session one, Clermont, also a writer whose Learning to Fall will be published this summer, will discuss what an author can expect from hiring an independent editor to read a manuscript. In the second session, Richards, who wrote If I Could Give You a Day and The Drive-in Miracle, will discuss the book business from a writer's perspective. Anderson, founder of Kitsap Publishing, will explain how to publish, market, and sell a book in the third session. Wales, owner and principal agent of the Seattle-based Wales Literary Agency, will complete the sessions when she discusses what an agent can and cannot do for an author. Registration for SO, YOU WANT TO WRITE A NOVEL? class is open! The winter/spring catalog for Bainbridge Island Park and Recreation District is out! REGISTRATION IS NOW AVAILABLE for Youth and Adult Art & Cultural classes! LEARNING TO FALL will be PUBLISHED August 2nd 2016! Check back soon to see what writing classes I will be teaching out of my home. I will be leading a Writing Time meetup at the Bainbridge Public Library on November 17th. Come join me for a short lecture on writing, followed by writing time. We will then allow those brave enough to share their pages to read, and have a short writing feedback session. I'm really looking forward to this! For more information, check out the Field's End website! I'm excited to announce that I will be teaching a SO YOU WANT TO WRITE A NOVEL? class via the Bainbridge Island Parks and Recreation Department. We will be looking at your idea, basics of plot structure, character, POV, and more. We'll even dive in and look at your pages! I'm really looking forward to working with anyone who's been wanting to write a novel, but hasn't known where to begin. Let's get writing! Registration for my SO, YOU WANT TO WRITE A NOVEL class is open! The fall catalog for Bainbridge Island Park and Recreation District is out! Hope to see you at the end of September!